A lot of car for little money. All the driving appeal of a four-wheeled domestic appliance. Rust can be a problem. Wheel bearing of 42,000 miles 2002/52 KIA Rio failed soon after being bought used privately then independently serviced at a cost of £120. Estimate for replacement wheel beraring £150. 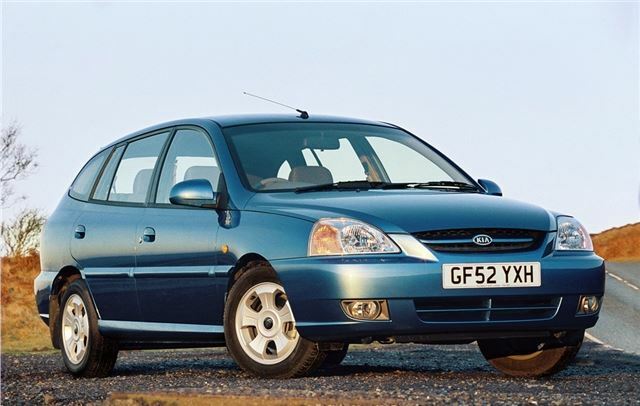 The Kia Rio had a unique selling proposition. 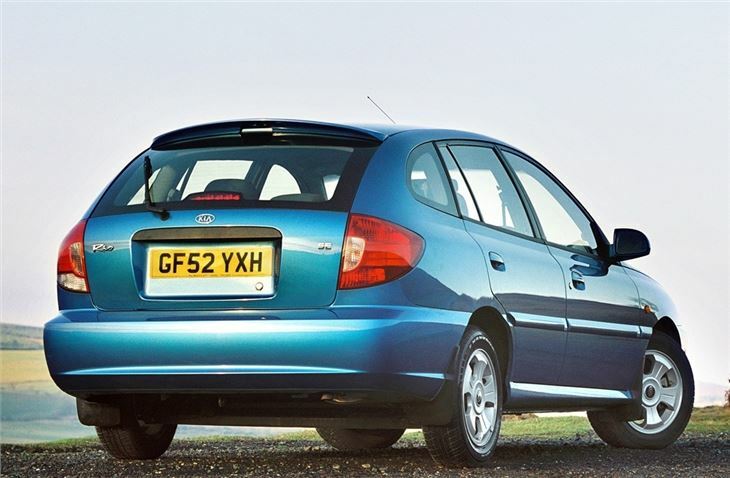 It's the only 5-door Ford Focus-sized car with a UK list price of just £5,995. The same price as a tiny Daewoo Matiz and very nearly half as much as a new MINI Cooper. For that you got a fairly basic car. No power steering, electric windows, electric mirrors, central locking, rear wiper, luggage cover, radio cassette player or even a choice of hue. You could have it any colour you want as long as it's Cherry Red. But you did get a decent 74bhp 1,343cc multipoint-injected overhead-cam motor that took the Rio to sixty in 12.6 seconds and on to a top speed of just over a hundred. And a proper manufacturer's three-year warranty, a driver's airbag, seatbelt pretensioners, body-colour bumpers, a 60/40 split-folding rear seat and plenty of luggage space. In short, a lot of car for the money. The trouble is, for the extra £900 that the 1.3L cost you got a lot more. Most importantly, power steering; but also a height-adjustable steering wheel, RDS stereo radio cassette player, rear wash/wipe, luggage cover and a range of colours. Combined mpg for both is a useful 39.8, and CO2 output is 170g/km, which puts them into the £140-a-year VED bracket. They are also cheap to insure, in ABI Insurance Group 3. Dimensions are 4,215mm (13 ft 10 in) long; 1,675mm (5 ft 6 in) wide, and 1,440mm (4 ft 9 in) high, with a kerb weight of 1,053kg. Bargain basement motoring......with a bag over your head?